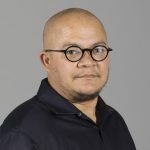 The International Trans Fund (ITF) stands in solidarity with the Muxhe community after the murder of Oscar Cazorla in Juchitan, Oaxaca, Mexico, on February 9, 2019. We call for an immediate and thorough investigation into this case and other violence that has been directed at the Muxhe community. An activist for over 40 years, Cazorla was well known for advocating for the rights of Muxhe, a third, non-binary Indigenous gender identity that has been celebrated for hundreds of years in Istmo de Tehuantepec, Mexico. “The tragic murder of Oscar Cazorla leaves a deep wound not just for the Muxhe community but for all those fighting for human rights. Indigenous gender identities are under threat of violence and we stand in solidarity with the Muxhe community at this time. We call for immediate action to end this violence and get justice for Oscar,” said Ymania Brown, Co-Chair of the ITF. Cazorla was one of the founders of the Vela de las Autenticas Intrepidas Buscadores del Peligro—which roughly translates as the Vigil of the Authentic, Fearless, Danger Seekers—an annual celebration that promotes the respect of muxhes in Juchitán. Trans and gender-diverse people are victims of horrifying hate violence across the globe. According to the Trans Murder Monitoring Project November 2018 update, there were 369 reported murders of trans and gender-diverse over the previous year, 71 of these murders were reported in Mexico. Over the last 15 years, five members of the Muxhe community have been assassinated and these cases remain unsolved. 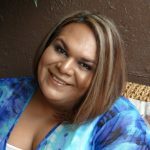 Would you like to support trans activists around the world? Are you a funder to the trans community with a demonstrated commitment to building trans communities and trans leadership? Are you committed to and invested in the trans movement in your country, your region and or on a global level? Do you have a passion for advancing trans rights and building a sustainable trans community? Are you deemed credible and trustworthy in the eyes of your peers and would you like to make decisions on how resources are allocated in our movements? Trans groups across the globe remain severely under-resourced and operate with limited or no budgets. 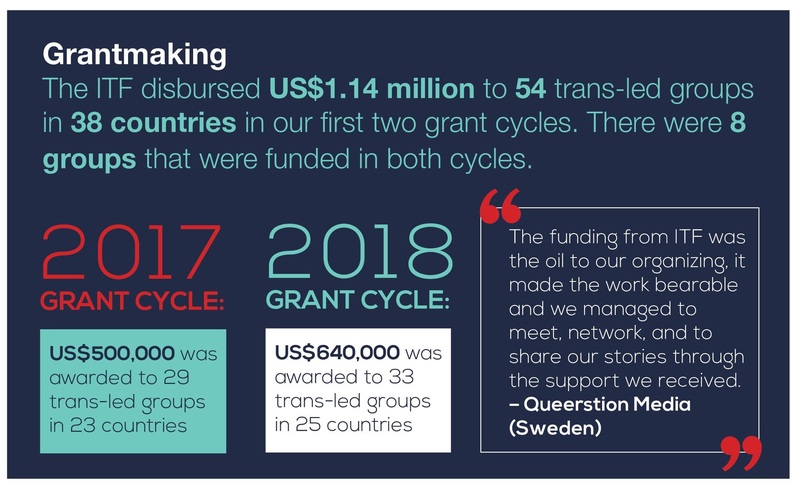 The State of Trans Organizing, a survey of 455 trans organizations conducted in 2016 by AJWS (American Jewish World Service), GATE (Global Action for Trans Equality) and Astraea Lesbian Foundation for Justice, found that two out of five trans groups had zero external funding and only 40% received foundation funding. 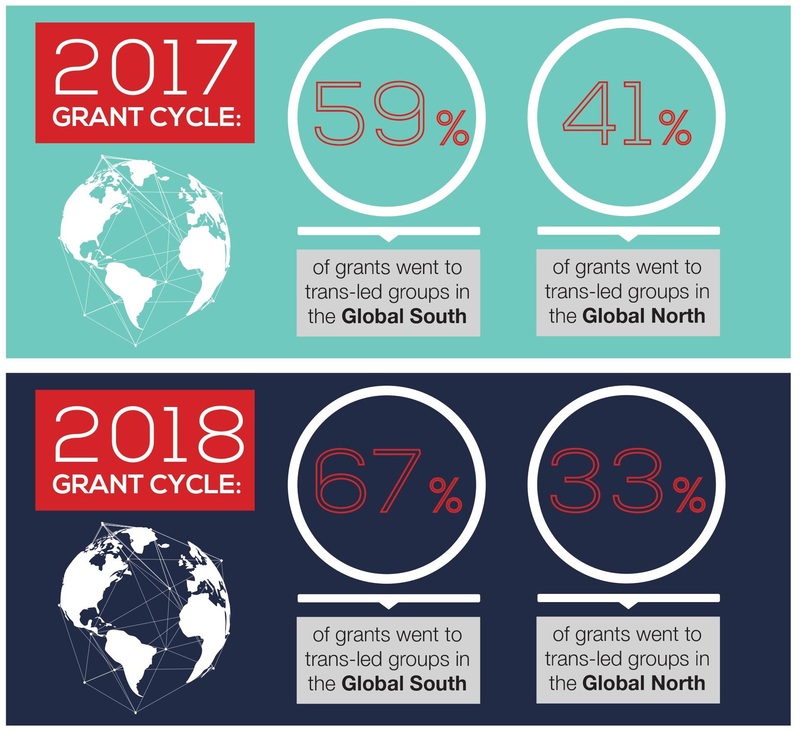 Over half (56%) of trans organizations operated on a budget of less than USD$10,000 yearly and over three-quarters (78%) had annual budgets of less than USD$50,000. To address this disparity, a group of international trans activists and donors came together to create the ITF. 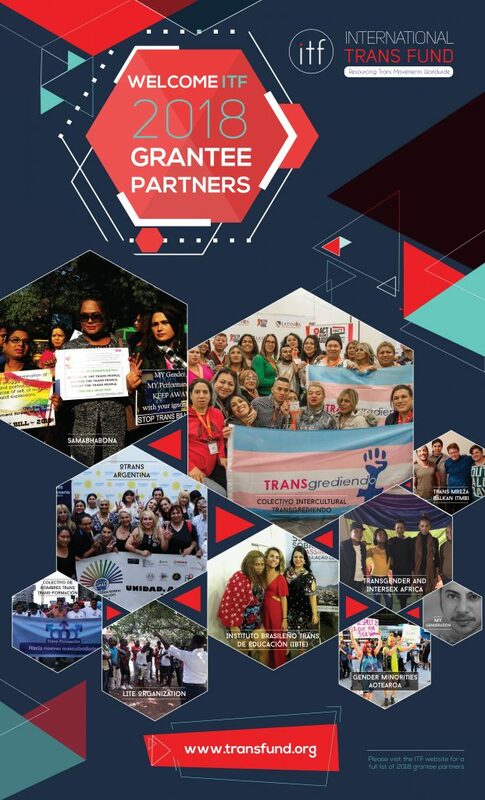 The ITF is a participatory grantmaking fund that aims to increase the capacity of the trans movement to self-organize and advocate for trans people’s rights, self-determination, and wellbeing. Build & Sustain the Fund | Build and sustain a mechanism to support trans-led groups of different sizes working on a range of issues at the international, regional, country and local levels, with a particular emphasis on smaller groups and/or groups with access to fewer resources. Access to financial resources dedicated to trans-led organizations and groups through grantmaking. Access to non-financial resources for trans organizations, such as skills building, organizational strengthening, leadership development and activist support. Access to other and new donors for trans organizations, beyond the ITF’s direct support. Educate Philanthropic Community | Educate peers in the philanthropic community on trans issues and influence other funders and strategic allies in trans-related commitments and strategies. What does “trans” mean to the ITF? The ITF understands trans as a political term that defines the communities of people that we work with. We use trans to define people whose gender identity or expression differs from their gender assigned at birth. 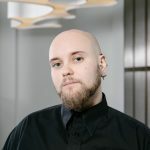 Some of these people identify and present themselves as male or female; others identify with a non-binary gender category. 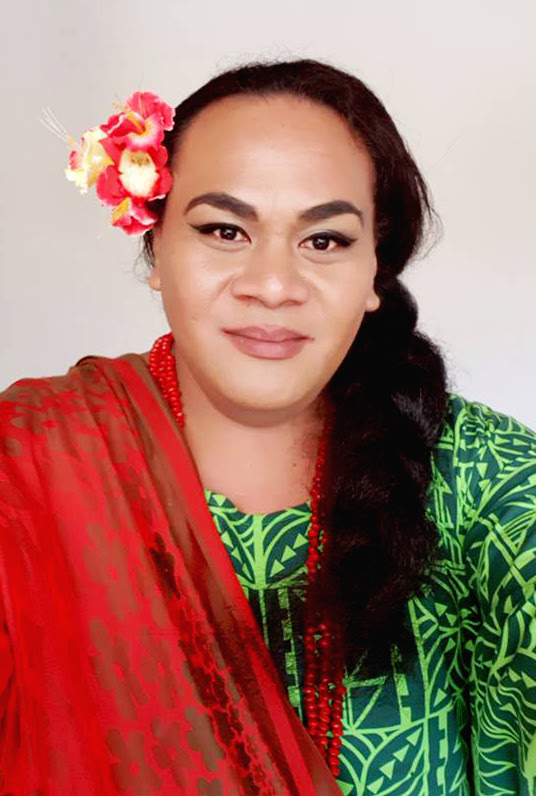 These identities or expressions include trans women, trans men, fa’afafine, leiti, fakafifine, akava’ine, mahu, vakasalewalewa, palopa, Sistergirls, Brotherboys, whakawahine, tangata ira tane, muxhe, omeguid, travesti, two spirit, hijra, bandhu, mangalamukhi, kinnar, thirunangai, thirunambi, khwaja sira, meti, katoey, waria, mak nyah, kua xing nan, trans laki-laki, transpinay, transpinoy, kwaa-sing- bit, and transgender, transsexual, genderqueer, gender non-binary, gender diverse, gender non-conforming, and agender people – to name just a few. As part of the ITF’s commitment to self-determination and decolonizing bodily oppressions, we are permanently committed and open to recognizing gender identities that emerge and that our communities claim within their socio-political contexts. These arise from the ongoing work of resistance and liberation that involves both the remembering and reimagining of gender identities and expressions. The ITF does not privilege any one gender identity or expression over another, including those communities who do not have specific terms to describe who they are. The ITF is a participatory grantmaking fund and we take an activist-led approach that engages trans people in our grantmaking process. This means that trans people are actively involved at every stage, from determining funding priorities to reviewing applications and making decisions about which groups get funded. 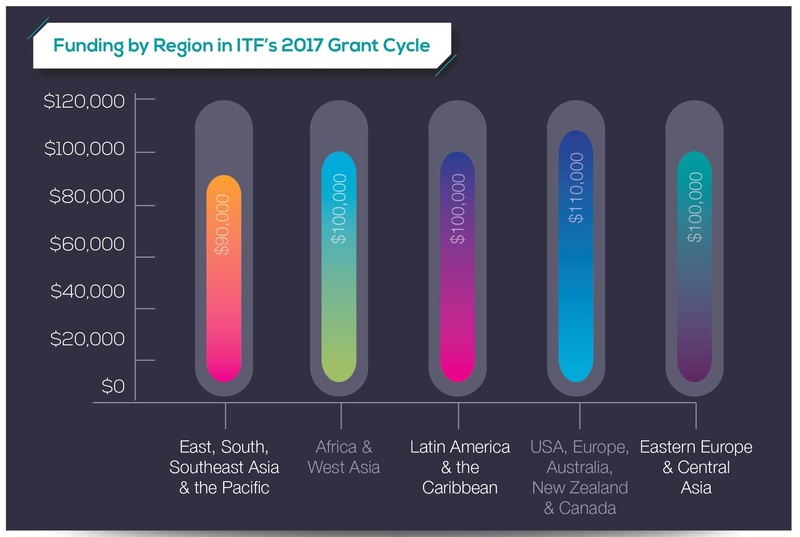 All eligible applications that are submitted to the ITF are reviewed by our Grant Making Panel. The Steering Committee consists of no less than nine members and no more than 13 members. Trans activists constitute at least 75% of the Steering Committee membership and funders no more than 25% of the Steering Committee membership. Ensure the ITF meets its fiscal and legal obligations. Adhere to confidentiality, ethics and conflict of interest principles in and outside of the ITF at all times. Take due part in online discussions, email exchanges as well as participating in the regular annual in-person meeting as well as in at least 75% of online meetings. Elect the Co-chairs of the ITF Steering Committee, as well as a Treasurer from among the activist members of the SC. Approve the annual budget and annual report of the ITF. Represent the ITF towards third parties. Support the Secretariat in fundraising for the ITF. Appoint members for the GMP. Ratify the grant docket as approved by the GMP. Determine the ITF’s grantmaking priorities in consultation with the GMP. Responsible for hiring the Executive Director, in partnership with the Fund’s Host. In the absence of an Executive Director, the SC is responsible for the hiring and management of staff or it can delegate this responsibility to the most senior staff member. Make decisions on any item not delegated to any other body or staff of the ITF. Participate in 3-5 online meetings each year. Attend and actively participate at in-person meeting (5 days) each year. Review materials, participate in discussions and make timely decisions. Have 3-5 years of direct experience in grantmaking to trans groups. Be well-connected to the funder community. 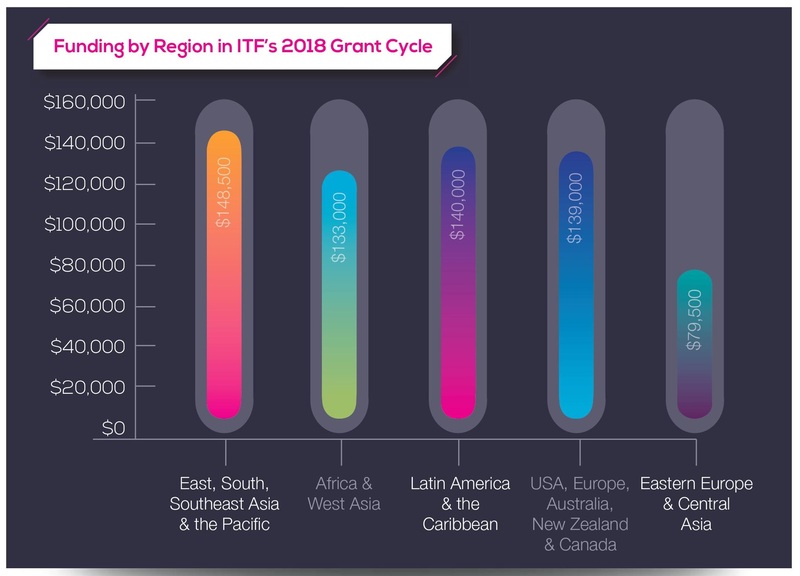 Have a strong commitment to help the ITF connect with potential funders. Be able to communicate and write in at least one of the ITF’s working languages (English or Spanish). Be able and willing to work in a diverse environment that includes activists and funders. Have a strong commitment to fulfil tasks and deadlines. Steering Committee members will be appointed for a three-year term. Once the term is over an individual can re-apply once for a second term. Steering Committee members will receive a remuneration of USD$1000 each year of their term. Members also receive travel expenses, including per diem, to attend ITF meetings. What role do you hope to play on the Steering Committee. How you have worked with trans communities in your current and previous positions. Your experience advocating for trans communities within your own and other foundations. How do you identify (please include SOGI, race, gender, and country). Please send the letter to info@transfund.org by Feb 15, 2019. Are you a trans activist with a track record of working beyond your country or region? 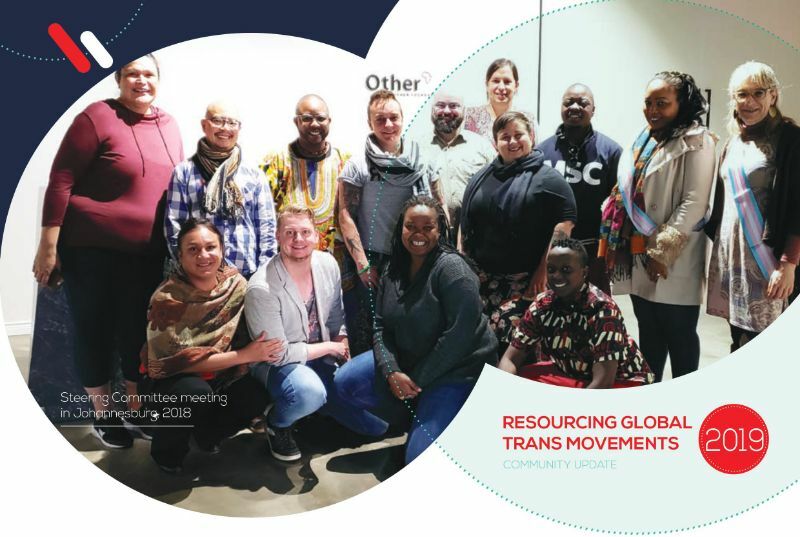 Build & Sustain the Fund | Build and sustain a mechanism to support trans-led groups of different sizes working on a range of issues at the international, regional, country and local levels, with a particular emphasis on groups with access to fewer resources. The Steering Committee consists of no less than nine members and no more than 13 members. Trans activists should constitute at least 75% of the Steering Committee membership and funders no more than 25% of the Steering Committee membership. Have at least 5 years of direct involvement with trans activism at the regional and/or international level. Be recognized by other trans activists in their region as a trans community activist. Be able and willing to work in a diverse environment that includes activists and donors. Hold a passport allowing them to travel internationally to attend Steering Committee meetings. Have a strong commitment to fulfill tasks and deadlines. Your history working in trans activism. Your motivation for joining the Steering Committee. Any boards or leadership positions you have held. Your experience in contributing to strategic thinking and development processes. Other social movements you engage with and why. How you identify (please include SOGI, race, gender, and country). Please send your letter to info@transfund.org by Feb 15, 2019. The ITF is delighted to announce the appointment of Bianca Cordero as Program Intern. Bianca is a trans woman of color born and raised in Bedford Stuyvesant Brooklyn, NY in a Dominican household. She has worked as a Peer Educator at Harlem United, reaching out to the community and informing them about HIV awareness and prevention. 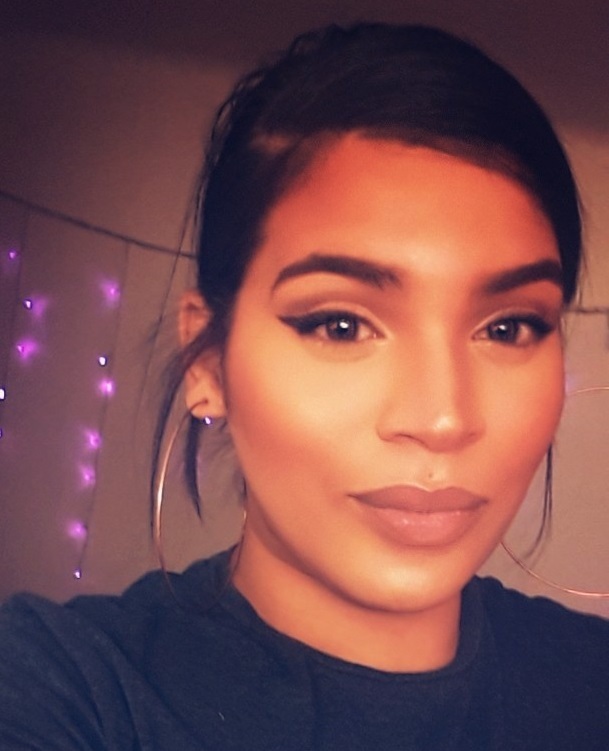 Bianca has traveled to Washington DC to speak with congress and senators about issues within the trans community and marched in the Trans Day of Action 2018. When not working, Bianca takes part in the underground ballroom scene culture as a member of the legendary Haus Of Chanel and participates in a category called Runway. She also loves writing poetry and baking. As Program Intern, Bianca will be supporting the ITF’s third grant cycle. We are thrilled to welcome Bianca to our team!